​As in the time of Genghis Khaan, each of the riders will have ridden part of the way in a traditional Mongolian wooden saddle...all to help some of the most disenfranchised and neglected children in Mongolia! ​Come join us and help us help the children. We have an exciting line up for you at the Gobi Gallop Gala, including fantastic entertainment, wonderful cultural displays, live music, excellent food, a charity auction and a great way to be part of the team that is changing the lives of over 400 children! All money raised will go directly to help the children and families from the Narnii Huuhduud Kindergarten Project (Children of the Peak Sanctuary) which includes a variety of community outreach programs designed to alleviate the suffering of families currently scavenging at the dump and empower them to be able to move toward a life that does not include subsisting on garbage. 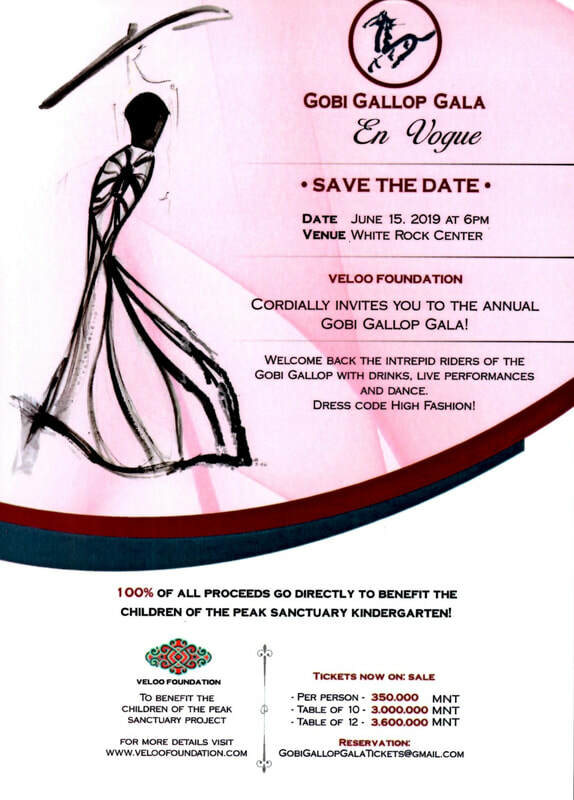 Please take a moment to check out our "Home" & "Recognition" pages to get a good look at what we do, visit our website at www.veloofoundation.com then scroll down to see what kinds of fabulous auction items we have in store for you! Enter your details below and we'll contact you to make a reserve bid for your preferred item or items. We will ask for a first and last bid amount and increments of your bid along with credit card information to process payment should your bid be successful. Reserve bidding will be accepted until June 16th - 4:00 p.m. Mongolia time. As he has every year since the beginning of the Gobi Gallop Gala, Darrell Hubbell has generously agreed to hand craft a custom jeweled piece designed specifically to represent the beauty and rich cultural history of Mongolia, the arduous journey undertaken by the riders and the wonderful gift to the children up at the Children of the Peak that the lucky auction winner will be making. The “Under The Rainbow” piece boasts 14kt Rose, Yellow and White Gold, Malaya Garnet, natural Gold Nugget and Diamond Pendant. 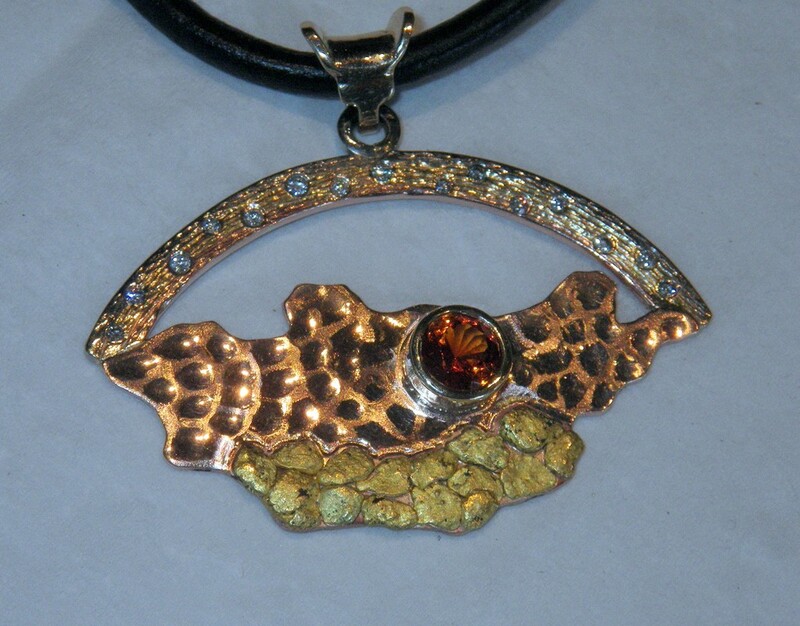 The textured detail on the bottom represents the Gobi desert landscape, the malaya garnet in the middle depicts Ulaanbaatar, and a beautiful gold and diamond rainbow above Mongolia . Surely an adornment that any woman would be proud to own! This custom handmade beauty has a value of. To look at the artistic designs and top of the line quality of work that Darrell does, please check out his website at hubbellgoldsmith.ca. 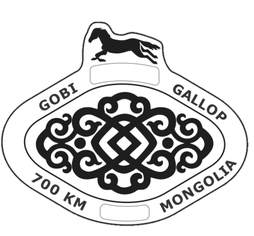 And, of course, The Gobi Gallop would NOT be the Gobi Gallop without the prized "Official Mongolian Comfort Saddle" for some lucky person to take home to showcase the beauty and toughness of your average Mongolian herder! Yes, this saddle is just what it looks like - WOOD! Specially put together for the Gobi Gallop, this saddle will have been ridden in by every single Gobi Galloper and will be an important part of the history of the 2018 Gobi Gallop - In Celebration of the Mongolian Horse Everyone will have enjoyed at least 20 kms in this unique, hand crafted stunningly beautiful saddle and it will embody not only the dedication and hardship that not only our riders have endured, but symbolizes the difficult life situation many of our children from the Peak find themselves in. 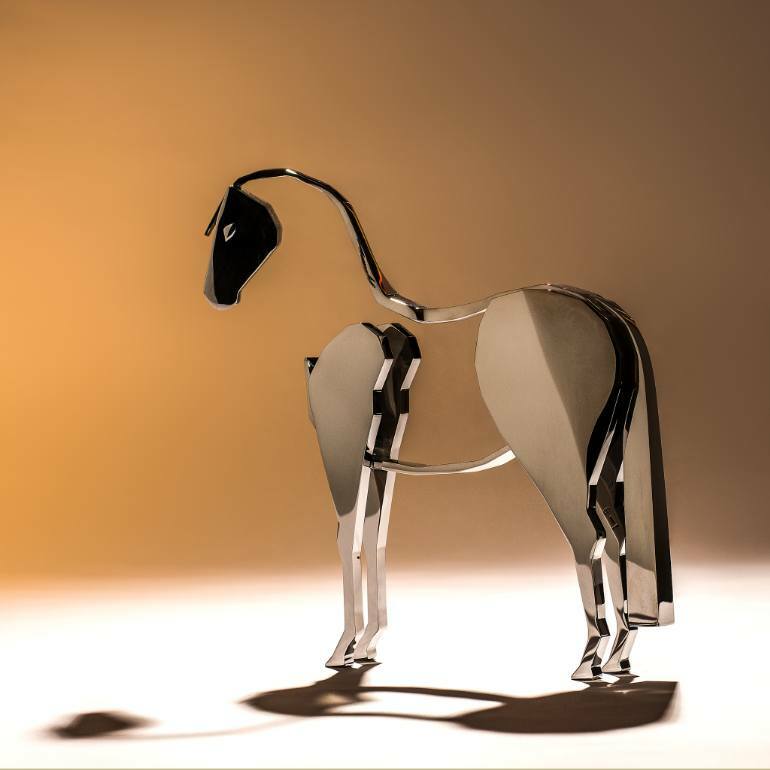 ​This magnificent metal horse, was donated for auction by the Mongolian Lion’s Club, is a masterpiece by the award winning dutch sculptor Bart Somers. He models his sculptures with a hammer and finishes it with a welding torch. Bart Somers is famous for his metal creations as he can present characters and animals in motion making it seem like they have a certain fluidity. For detailed information on the Lions Club and their activities visit their Facebook page. wine and is officially listed as a Heritage Icon of South Australia. The 2002 vintage is produced from a blend of 99% Shiraz and 1% Cabernet Sauvignon and was aged for 15 months in new American oak hogsheads. It is every wine lovers dream to boast one of these fine wines at home! For more information on Xanadu and their assorted wines click here. 66 x 92cm. It's a limited edition piece with only 30 which are all signed & numbered by the Internationally renowned artist Zaya. 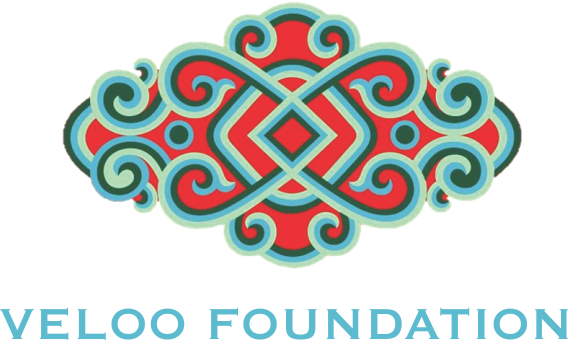 Goolingoo is the story of of a women who is yearning for her husband "Goolingoo" who was persecuted and killed during the Mongolian repression era. She sings a song that carries her sorrows and loneliness through the generations to come. Zaya's paintings are sold in some of the finest and most exclusive galleries on the planet and as a philanthropist he is very generous in supporting Veloo Foundation's work with the children through the donation for auction of his paintings. ​Check out his art here. The Morin Khuur is an essential piece of Mongolian history. This 2 string instrument adorned with a proud horse head is attested to by written sources dating from the Mongol empire of the thirteenth and fourteenth centuries. B. Shukhbaatar the president of The Mongolian Morin Khuur Center, after his visit to the Narnii Huuhduud Kindergarten was inspired to make a handmade custom morin khuur just for the gala hoping it will help the little children he has encountered during his visit. He himself has a passion to bring Mongolian traditional musical culture closer to the younger generation as well as to a more international audience, to share the beautiful sounds of Mongolia. Want to learn Morin Khuur or get it custom made visit their site. Our own Fran London Sewing Center has prepared a beautiful hand sewn deel. The silk as well as the cut was hand chosen by our dear Gobi Gallop riders, hoping one lucky person will acquire this item. The Fran London Sewing Center provides 6 employment to marginalized 4 women and 2 men who previously scavenged the garbage dump to survive. After being employed they received vocational training to become skilled seamstresses and carpenters. With this deel they hope that they can show their support to the children that they see and hear everyday at work. Enjoy a wonderful, convivial evening with the Turkish Ambassador and his wife. Their internationally renowned chef will prepare and serve a delicious home cooked meal at their official residence. Join up to 12 people to share a truly special wonderful evening getting to know them and spending time with a great group of like minded supporters of the Children of the Peak. Sold in lots of two pax. ​1. *Success* - Be the master of success! 2. *Diligence* - Continuous diligence will always pay off! ​3. *Time* - Time is more precious than gold. Tax Mongolia 2 is valuable 45 x 45 silk print, is a part of a series of paintings. It was directly printed from Mongolian cave paintings using finite printing technology, to not harm the original drawings on the cave. Uranchimeg herself collaborated with ethnographers, for a study on cavemen art. The image of the sun and moon in the center was seen as the eternal life source. The deer where most likely an animal that cavemen encountered frequently, therefore it become a common site on cave paintings. Item was donated by Norphei Art Gallery. ​Uwezo translates to “capacity” or “ability” in Swahili. Their unique shoes are crafted from re-purposed hair-on cowhide, meaning no two pairs are exactly the same. A certain percentage of Uwezo’s profits from each pair of cowhide shoes they sell generate scholarship funds for Empower African Children. 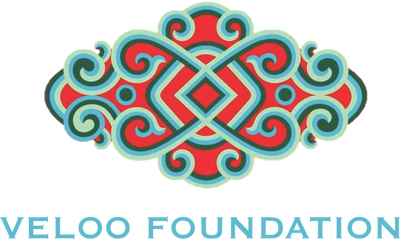 This charity gives an opportunity for East Africans to excel by reinvesting its revenues in Africa. By buying these shoes during the auction do you not only support one charity but TWO. Education in Africa as well as kindergarten education in Mongolia. Remember good shoes take you to good places, and with this pair you can walk with your head up high to all the meetings and events. *Current pair is a size EUR 39/ US 8. Not your size? No worries we will order the right size for you! This beautiful painting by the artist Gan-Ochir is titled “Future”, it’s a 70 x 70 acrylic, holst painting. The center of attention in the painting is the centralized colorful Kazakh symbol of infinity surrounded by darkness. The black in the painting represents the darkness that surrounds us and the universe, like the future which no one knows how it will unfold. However the colorful center, gives the viewer an impression of hope and cheerfulness that slowly expands into the darkness it is surrounded by, the future. The Kazakh symbol emphasizes the underlying story line of the everlasting cycle of life the battle that is the present and the future! Gan-Ochir has been painting since the age of 5, and was personally invited to study art at the Mongolian Fine Arts Institute. Through the years, she became an artist who doesn’t limit herself inspirations. Currently she loves to explore the different themes and ideas in the modern - contemporary art spectrum. As a mother herself she hopes that this painting will be able to help the children of the Peak in one way or the other. Experience an unforgettable stay at the luxurious Shangri-La Hotel located in the heart of Ulaanbaatar. With this voucher you can enjoy a 3 day 2 night stay in the Executive Suite for 2 people, with a complimentary breakfast and access to the Horizon Club. Additionally you will receive one complimentary dinner for 4 at Cafe Park in Shangri-La, that can be used separately. The vouchers are valid from August 1st - November 30th, 2018. For a quick look at the hotel and suite click here. Artist Kh. Ariunzaya has generously donated her artwork “Respect”, a postmodern style 100x100 oil canvas painting. The painting represents the love and mutual respect that a couple should have for each other in a relationship. It shows of the delicate frame of a pregnant women embraced and protected by her partner. The usage of different blue tones in the background and the blue undertone give the viewer a calming effect in contrast to the white and more vibrant colors the main 2 subjects have. Furthermore, the added hints of green express stability and endurance, hope and growth. 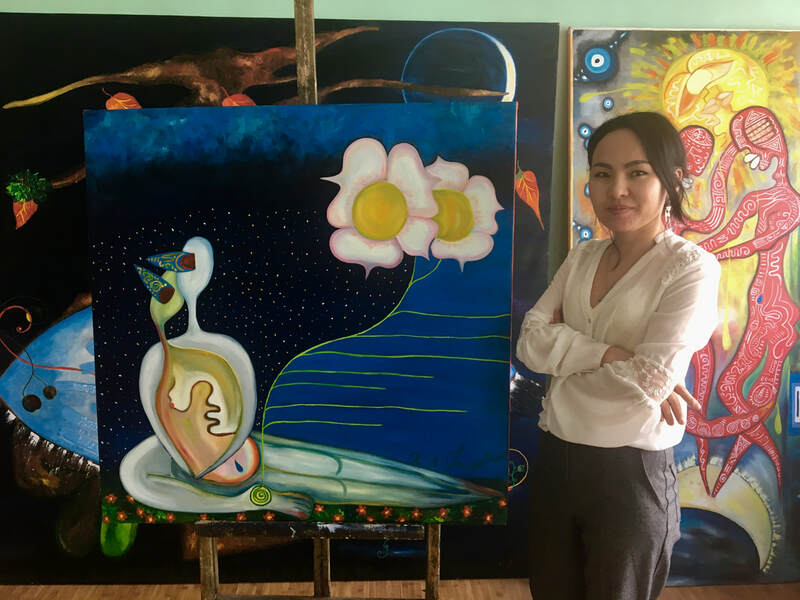 Ariunzaya herself is a strong advocate for women’s and LGBTQ+ rights in Mongolia, most of her paintings reflect the societal pressure and harm that falls upon them. With her paintings she hopes to open people’s eyes to view situations in a different light. For more information on Kh. Ariunzaya click here. More auction items including trips, hotels stays, and unique one-of-a-kind events and opportunities being added soon! Check back often!